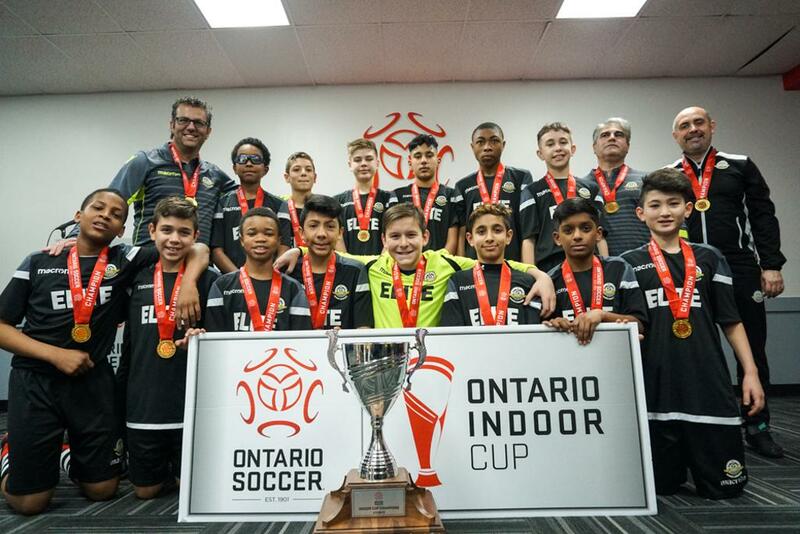 The competition for the U-13 boys concluded with Ottawa St. Anthony Futuro taking on Brampton Elite in the final. Brampton had the run of the play early as St. Anthony opted to stay compact and conserve energy with a short bench. It resulted in Brampton having a number of chances in the first 10 minutes but weren’t able to convert on anything. It would be Ottawa who would find a way through first however. With three minutes remaining in the first half, Joshua Crete’s marvelous free kick found the back of the net to make it 1-0. 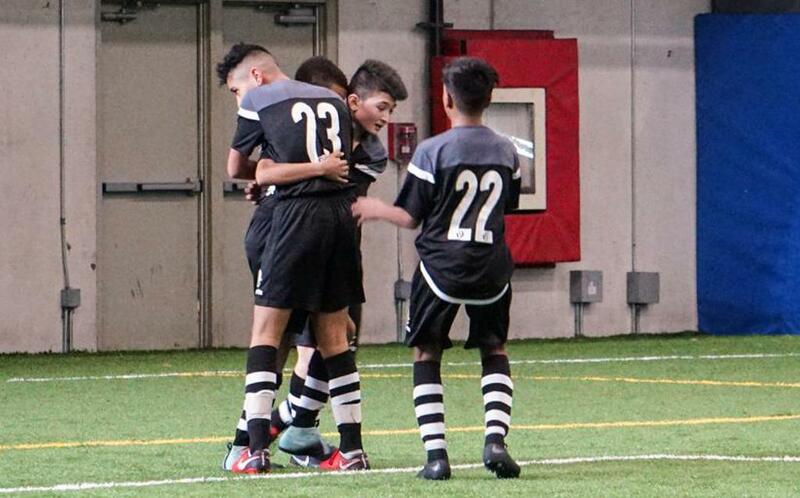 Brampton carried their possession based game into the second half and it finally paid off for them. Ten minutes into the second half, a long pass found Tyson Shirley who was sent in alone and he made no mistake in converting his chance and knotting the game at 1-1. Neither team would score again in regular time and the game would go to penalties. 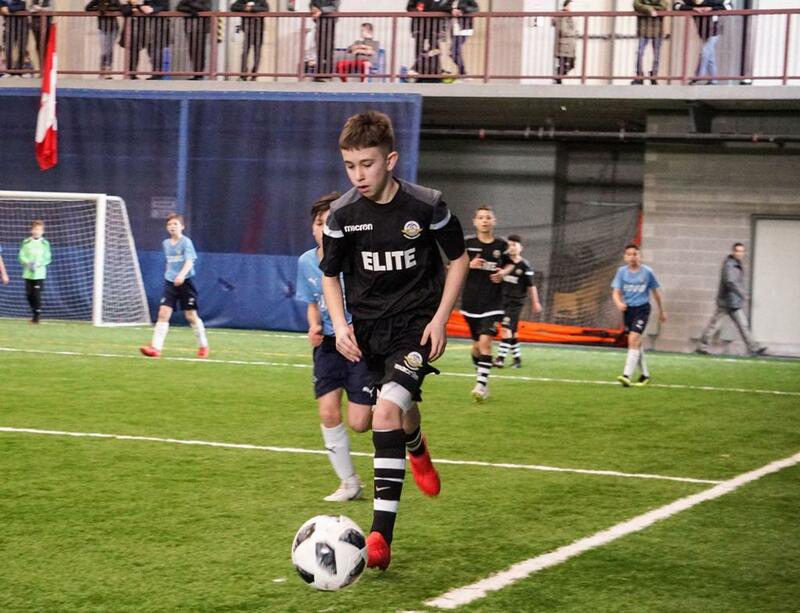 In penalties, Brampton’s keeper Gierri Crecco would come up big for his side with a pair of big stops and that would propel his side to a 4-2 penalty win and the U-13 Boys Ontario Indoor Cup title.